Dinosaur Comics - January 26th, 2018 - awesome fun times! 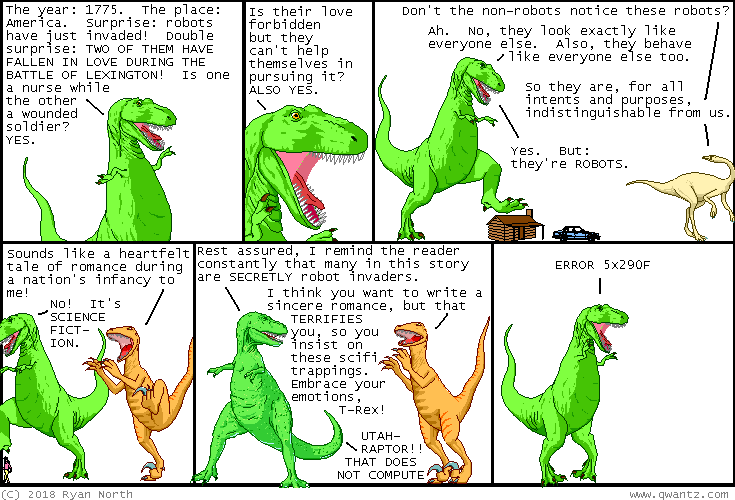 January 26th, 2018: "But: they're ROBOTS." sounds like a lazy twist but it grabs my interest every time?? One year ago today: also available: "sally arbitrage". a dangerous nickname, full of power and arbitrage. already great, it achieves true excellence when attached to the right individual.